Need concrete slab foundation repair on cracks? If you notice that you have concrete cracks and are in the Dallas, Fort Worth or Irving areas, phone HD Foundations. It’s imperative to halt issues like fractures that are damaging your concrete slab. That’s because when moisture enters concrete, it makes slab foundations weak. Over time, they crumble. Considering all the things that affect slab foundations, it’s not surprising that so many people need to get foundation crack repair service in all part of the metroplex. 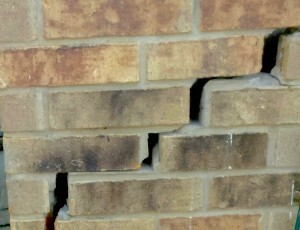 Fortunately, foundation repair is a great solutions to this problem. One way of mending a broken structure is by using sturdy concrete piers. They are installed beneath foundations and are highly effective and long lasting. Property owners in the North Texas commonly need to bring an end to troublesome slab foundation repair issues. Neglecting your concrete slab and allowing it to crack will only result in increasingly larger gaps as time goes by. Once deterioration sets in and compromises your slab foundation, it it likely to bend and break. Experienced contractors like HD Foundations can elevate slab foundation, thus returning it to its original position. As your house foundation is lifted, the slab cracks close up. Sealer can also be applied to them after this step has been completed. One your foundation has returned to a normal position, it can be stabilized. Why Concrete Slab Foundation Repair On Cracks? Here’s another reason to have your foundation fixed: Uneven floors are a big safety hazard. When floors slope or have gaps, it puts people at risk, especially elderly people and children. But that’s not all. Waiting to have your concrete slab mended will only make it increasingly more expensive to fix. Most Irving, Dallas and Fort Worth homeowners need to get information on cracked concrete slab foundation repair costs, and have the job done right away. Prices in this area are about the same as they are in the rest of the state. Remember: The worse the damage, the most costly it will be to restore your slab. Fact is, property owners in the North Texas area tend to have more foundation issues than people in other parts of the state. That’s due to local climate and soil conditions. With almost 6.5 million people living in the Dallas, Fort Worth metroplex, it’s common to need repair service on foundations cracks. When gaps in concrete slabs get over 1/8″ wide, it’s time to keep an eye on your foundation. Before long they’ll be 1/4″ wide. If you drive around, you’ll notice cracking in all sorts of concrete structures, including driveways, walkways and other surfaces. What starts off as a hairline fracture just gets bigger over time. Because pier and beam foundations don’t rest directly on the ground and aren’t made of concrete, slab cracks aren’t a problem for them. Of course, those types of foundations have their own set of issues. What both kinds of foundations do have in common is this: sinking, settling and sloping. Foundations of all kinds do this over time, particularly in an area that experiences volatile weather. Concrete slabs are the type of foundations that are most susceptible to annoying crack-related problems. It’s important to note that they are far more popular in the south than the north because cold weather adversely affects slabs that manufactured using concrete. In the end, they are very durable and well suited to warm weather. In the event that you see cracks, make sure and schedule a free concrete slab foundation repair estimate and evaluation on your house, apartment or commercial structure today. It’s easy. To obtain costs and determine if you have serious foundation issues, just contact HD Foundations. We’ll be happy to stop by and inspect your property. We service the entire DFW area.